Inkheart fails to repeat the success of the book upon which it is based, offering an often bland, confusing, and lagging adventure tale. 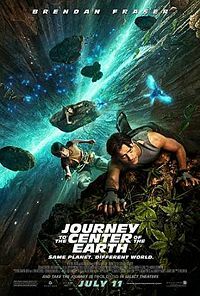 Brendan Fraser – the go to leading man for such family fantasy fare – stars as Mo, a book doctor who also holds the distinctive talent – or in his case, curse – of being able to conjure characters from books whenever he reads them aloud. The catch is, when a character is taken from their fictional universe, they must be replaced with a person from the real world, with Mo’s wife (Sienna Guillory) an unfortunate victim of this rule. 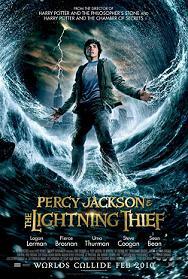 Years after his wife’s disappearance, Mo and his teenage daughter, Meggie (Eliza Bennett) scour book stores in every corner of the globe, in search of the rare fantasy novel Inkheart, within which Mo’s wife is trapped. Things get dangerous when a character unwillingly plucked out of Inkheart, Dustfinger (Paul Bettany) confronts Mo to send him home. The tension rises even further when Dustfinger ropes in another Inkheart exile, the villainous Capricorn. He is played by Andy Serkis, a tremendously gifted actor best known for his stop motion work in Peter Jackson’s Lord of the Rings trilogy and King Kong. Here, however, Serkis comes off as a cross between Dr. Evil and Lex Luthor draped in Al Pacino’s wardrobe, (all black, in case you were wondered). Fairing better are veteran actors Helen Mirren, who is fun as a cantankerous book snob turned adventurer; and Jim Broadbent as the perplexed author of Inkheart, ecstatic at the sight of his creations come to life. Inkheart sat on the shelf for two years, and it is understandable why this was the case. 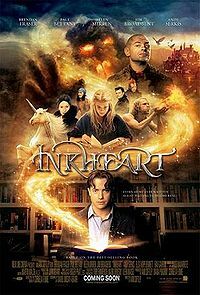 Considering its cast and budget, Inkheart should at least have spurts of excitement through its interesting premise (never taken full advantage of, perhaps due to copyright), nor in its required dose of SFX which, although good, is average when compared to its contemporaries (Chronicles of Narnia; Golden Compass). A connect with its characters is never achieved, mainly due to its confusing first act; and director Iain Softley’s overuse of flashback does not help sustain a rhythm to its story. This is a shame, considering the novel which it is based upon – written by German author Cornelia Funke – is supposedly rather good. Two other books follow, yet considering the lacklustre execution of its first film adaptation, sequels seem unlikely.